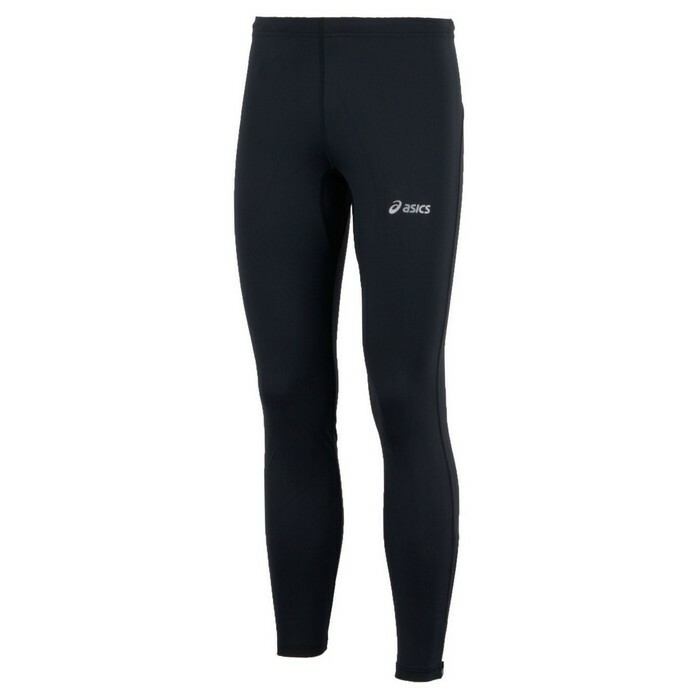 Men's Asics Hermes Elite long running tights. These Men's Asics Hermes Elite long running tights are a great fitting tight made from a technical DuoTech fabric designed to offer freedom of movement and great moisture management. They also feature an elasticated waist with draw cord, ankle zips, and a zip pocket to the rear. Asics DuoTech fabric keeps you comfortable at all times and offers outstanding moisture management to keep you dry. Zip pocket to the rear. Colour: Black, with reflective Grey Asics logo on the thigh.